Of Your Family From Newborns To Seniors"
We are a family based Chiropractic center, located in Metuchen, NJ committed to excellent service, quality care and affordable visits. 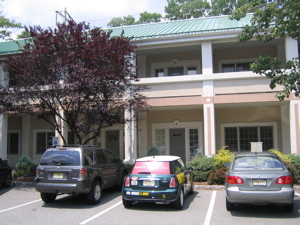 The Yuhas Chiropractic Center itself is approximately 1000 square feet, including a reception area, office center, treatment rooms, and a consultation room. There is handicapped access and a handicapped bathroom. Our approach is unique in that we seek to educate our practice members and our community in Chiropractic philosophy and how their body works, so they can make their own educated decisions about choosing healthcare. Our only job is to inform our members as to their situation, monitor their progress and let them know what we recommend. They can then decide if Chiropractic is right for them. Want to know more? Visit our About Chiropractic page. To find out what your first visit is like, our philosophy, or our services, click on New To Our Office. Congratulations on taking action by investigating our web page! We will continue to update and improve our website to serve you better. Please feel free to contact us at any time with questions or feedback. Thank you for your visit to our Chiropractic information center!